Where are the velvets now? 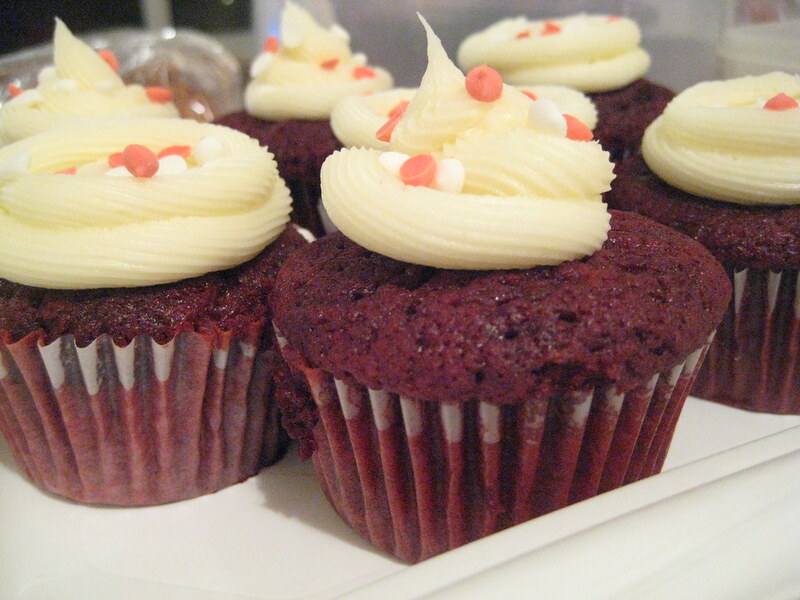 Red Velvet cupcakes. 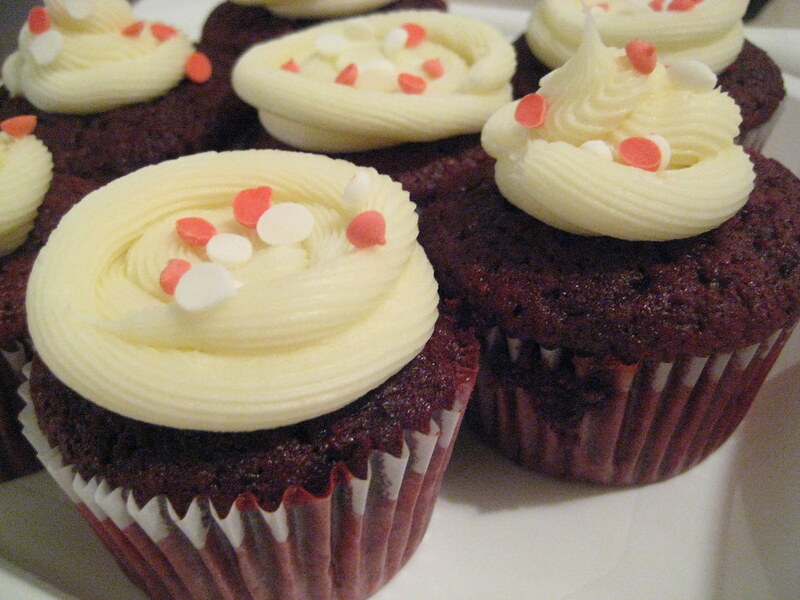 Cream Cheese frosting. Home-made sprinkles. ‘Nuff said! Oh yea…. look at that goodness!!! You know you want some….. send me an e-mail or a comment and I’ll let ya know how much. And yes, I’ll ship ’em. On another note: I’ll be in Colorado for the Thanksgiving Holiday weekend, and then I’m off to Florida for the Notter School of Pastry Arts. I will return on December 5th, hopefully with some amazing photos and some great experiences to share.